Love for sumptuous food, creative drinks and a good chat with friends are what Happy, Ermina, Ciarra, and Rona all have in common. As the creative and entrepreneurial minds behind Caffé La Tea, they were inspired by their travel adventures in and out of the country, as well as their memorable food stories along the way. All these motivated the cousin-sisters-friend group to offer the city something fresh, vibrant and original. Thus, Caffé La Tea was conceptualized with the aim to provide a cozy and lively place for friends to gather and chitchat, while filling their cravings for a great cup of coffee or tea, paired with the perfect dessert. The idea was brought to life in July 2012, built from the ground up with their passion for food, coffee and milk tea—not to mention the endless cheers and encouragement from their friends. 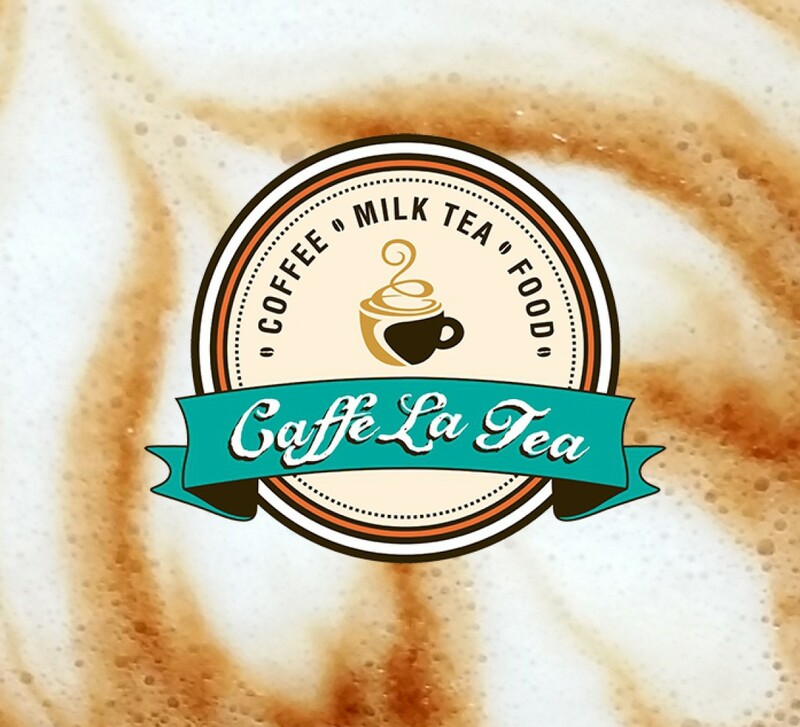 Caffé La Tea cemented its success story with the perfect site along the busy street of Mabini, Cabanatuan City. Literally steps away from two main universities and the provincial hospital, and just hundred meters drive from Maharlika Hi-way, the first Caffé La Tea store is right at the center of its dense target market. Soon, the 100 sqm space was transformed to what was bound to be the “homegrown tea and coffee pride” of Cabanatuan City, Nueva Ecija. 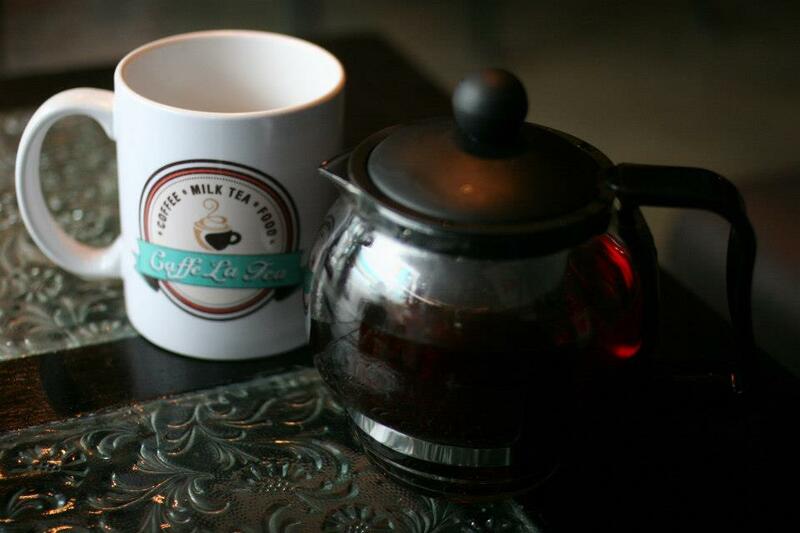 Walking into Caffé La Tea instantly brings you a sense of comfort and positive energy. The cafe mixes the simplicity and earthy warmth of a bodega, made comfy with modern interior design. Retro-modern lighting pendant lights bring balance and details between the bare floors and the spacious ceilings. The walls come alive with tasteful art pieces, and shelves filled with familiar things that remind you of home. Our color palette is inspired by the boldness of dark coffee beans, balanced by the soft touch of cream—just like a rich cup of coffee. On the other hand, the touches of teal, lime, and green apple breathe the freshness and vibrancy of tea leaves. All these blend with the comfort of soft cushions and lazy sofas that invite guests to carefree and comfy lounging. Caffé La Tea also offers complimentary Wi-Fi connection, allowing customers to make the most out of high-speed internet, for leisure, study or work. Greetings from Posiflex –Heritage Multi- Office!! !